This arthritis pain relieving post is sponsored by Savings.com. 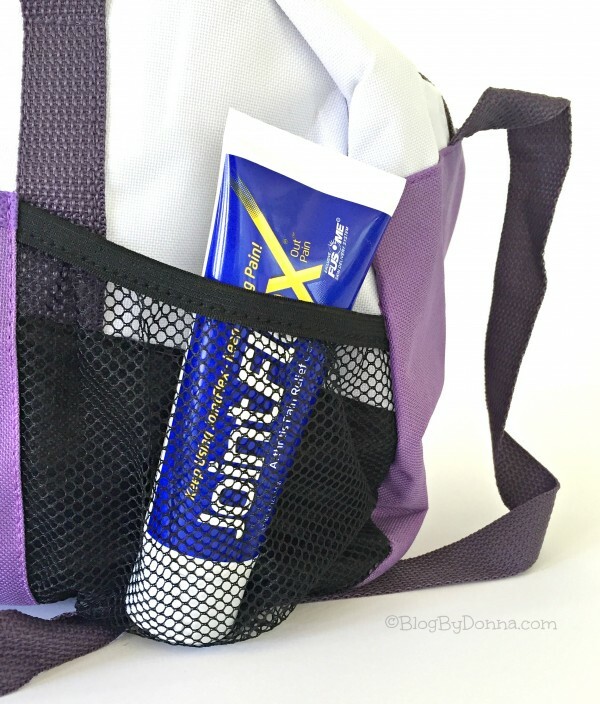 I keep JointFlex in my gym bag… just in case. Suffering from arthritis pain can be debilitating. I watched a woman who was like my second mom suffer through a lot of pain with rheumatoid arthritis for year, as well as my mother-in-law and my own mom. Then shortly after turning <cough> 50 <cough> I started noticing pain and stiffness in my knees, especially in my left knee. When you have arthritis in your knees it is called osteoarthritis. It’s an arthritis that most likely strikes after turning middle age. Yay, me. Okay, I’m being a little sarcastic here. Seriously, I’m okay with getting older (better than the alternative), but not thrilled with how my body is betraying me. I can’t let osteoarthritis or joint pain get me down — I’m a busy mom and I love Zumba. I’m not going to let knee pain keep me from doing the things I need to do and love to do. I first started noticing a stiffness and a little pain when getting out of bed first thing in the mornings long with cracking and popping sounds whenever I bent down. Thankfully, these two symptoms are all I have to deal with… and I need is a good topical pain reliever. 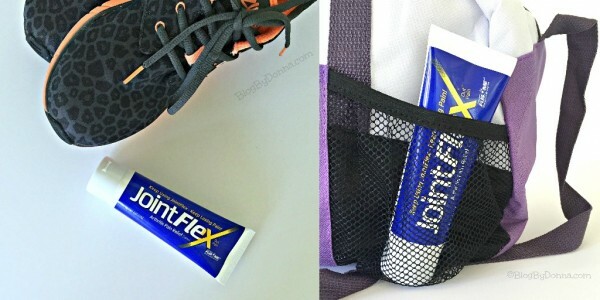 What I’ve found that helps me the most with osteoarthritis is JointFlex. It’s a topical pain relieving cream that I can easily and quickly apply to my knee(s) to get joint pain relief. There really is no reason for anyone to suffer from joint pain. I love JointFlex for it’s simplicity of use but it is my go-to pain reliever for its ability to relieve joint pain. Right now you can save $3 on (1) one 4 oz. JointFlex Arthritis Pain Relieving Cream. Do you or someone you know suffer from arthritis? Be sure to grab the above coupon before it expires on 9/30! What Could Be Causing Abdominal Chronic Pain? Thanks for the tip. I’ll have to try this on my hand. I will have to try this, I have terrible joint pain. I have RA and am willing to try most things. Thanks for the info.